Genre: General Fiction, Women’s Fiction. 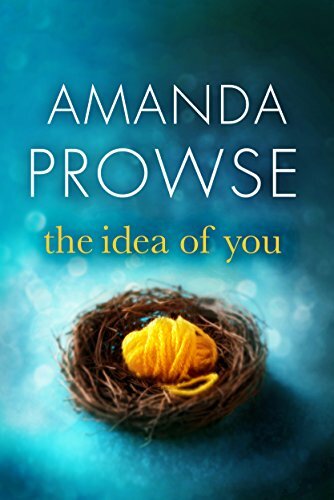 I’m a late addition to the Amanda Prowse fan-club, having only seen her works recently. This is my third read of her work. I put off reading this for a while, not because it didn’t interest me but because from the last two I’ve read I was pretty sure it was going to be a solid read, one which absorbed my full attention and really tested my emotions. I have to be in the mood for that. I’m a romance reader primarily – of all types – but so many of those are a little light and fluffy, fine if that’s what you’re in the mood for, but sometimes I want something deeper, a novel that really intrigues me, makes me think, makes me wonder what I would do if I was the main character. Amanda’s books, at least the three I’ve read, are just perfect for those times. Its a very emotional read, great characters and in Lucy there’s a part of so many women today. We have the choice now about motherhood, when to become a mum, or not to have children at all if that’s our choice. For people like Lucy a husband goes along with this dream of motherhood. Some in her position go the single parent route, via a friend, an anonymous hook-up, or the medically safer route of IVF. Lucy wants the whole ten yards, the husband, the baby, the family home the traditional family unit. She’s getting older though, as friends and colleagues keep reminding her, time is growing close. Why do people do that? Assume everyone wants to be a mum, not knowing if its choice or circumstances that are stopping them? If its the latter then every reminder must touch at their heart, really hurt. Men don’t get that, their peers never say “C’mon mate, those swimmers are shriveling fast. Clock’s ticking for Dad of the Decade”. They don’t get frequent reminders of time passing, chances being missed and yet many are in Lucy’s position, want to be fathers but circumstances haven’t brought it their way. And then just when all looks promising it all falls down, and down and down. Poor Lucy, it was like one heartbreak after another. The character portrayals here were perfect. Lucy, I could feel her emotions, her longing to make her mum proud, and of course her dad, though he’s been dead many years. She keeps her longing for a family to herself, and gets kind of written off as one of those cold, career women, eternal auntie. Again, men never get judged in this way…. We feel throughout that she’s carrying some deep anguish, that she has secrets, and wow when they come out, its like a toppling of a card house, everything falls apart just when the family need to pull together. Jonah was a lovely man, adored “my Lucy” – I love the way he calls her that, in that warm voice full of love. I can hear it in my head. He’s so deeply in love, so happy that he has a second chance at marriage after the disaster that his first one was. It gave him Camille though, who’s 16 now, and just as he and Lucy look set for the future they want after some setbacks, she arrives to stay for the summer. Camille, a perfect portrayal of a mixed up teen, and most of them are just that. Its a time when everything seems to be wonderful or disastrous, its all highest highs and deepest lows. There’s little happy medium, teens just career along, carried on their emotions and as for teen love…its intense. Often fades, leaving one party feeling heartbroken, til the next partner comes along but can win through. I met my husband at 16, he was 21, we married when I was 18 and had 40 happy years until he died. Camille felt so real, had a teen daughter myself and of course I can recall my own teen years. She seems to be dismissive of Lucy, she’s cleverly manipulative in the way she acts, and tells Lucy how wonderful her mum is, her friends are, how absorbing and interesting life in France is. Lucy looks back to her own teen years, where her father had just died and she wasn’t like Camille, didn’t have her confidence, and did exactly as she was told. Teens seem to be so much more mature these days, Like Lucy I can recall being expected to obey adults without question, to not talk back, to be respectful even if they or what they wanted may not have deserved it. At 16 I was in many ways quite young for my age, though very determined to stick to and for my love. In contrast Camille feels like 16 going on 26, and yet underneath is there a different girl? Its a fabulous book, full of circumstances found in many families, and part of it is so relevant to my own experience. I know exactly how Lucy felt, been there though a little different ending for me. Its a heartbreaking read at times, I had such tears for her, her anguish and wish for what so many people take for granted. Tears for Jonah too, he loved Lucy, was so happy at his second chance at marriage but it wasn’t all plain sailing. Of course what I always want is a HEA, not for me books that end in doom and gloom, real life has enough of that and this book delivers a perfect ending. Not perhaps the one I’d expected, the predicable, easy route but one that’s far more realistic while still giving me some smiles, and making me think all that they went through was worth it. Stars: five, a fabulous read, so very real feeling, with characters I could see and hear in my head, that made me very emotional for them.